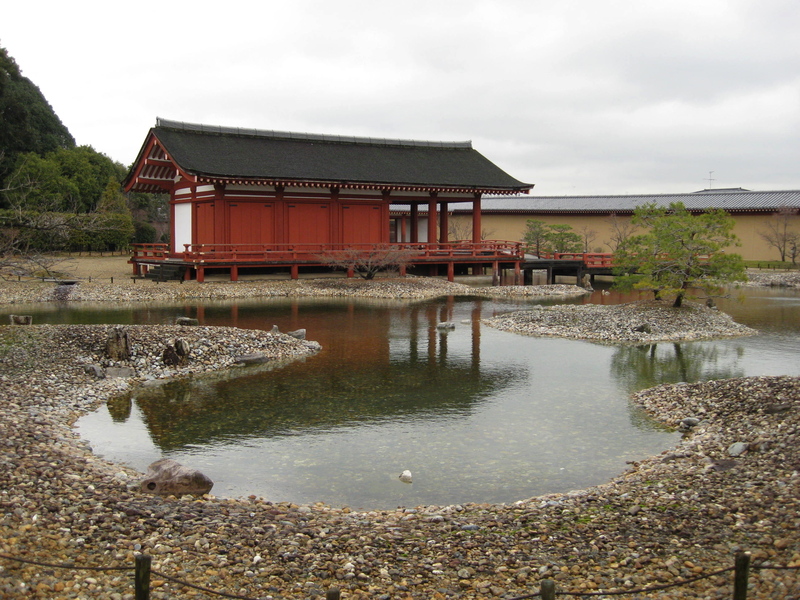 The period began when the imperial family moved Heijo-kyo(Nara). Heijo-kyo was strongly influenced by Changan, Chinesecity, so that the roads were made to be in a grid pattern, whichyou can see from the sky even today. 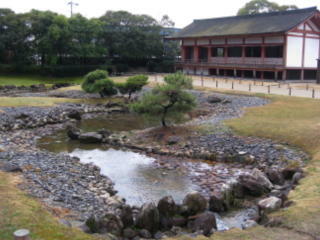 Heijo-kyo was a politicalcity for centralization; must of residents in this city werepoliticians and government officers. In this period, the Japanesegarden developed its originality and, at the same time, absorbedChinese essence in garden. Heijo-kyo East palace remain is good example of Naraperiod gardens. It has Yarimizu, curved river used for poetryfestival, was clearly Chinese ideas, and in contrast, you seeJapanese elements such as an island set at center of the pondand gravel shore called Suhama. Those seascape elements werefrom Japanese who lived close to the sea (notice; it is a littledifficult to say what is Chinese or Japanese because most ofChinese gardens of this period have been lost through history andresearches to compare them have not progressed much). Another interesting thing about this remain is that it wasremodeled for three times and later and later the garden gainedmore curved forms.